While New York and London might be the most traditional locations one usually associates with investment banking, the fast-growing Asian economies and particularly China are necessitating geographically closer alternatives to Wall Street and the City. Those alternatives are Singapore, known as the “billionaire’s paradise”, and Hong Kong, whose location has turned it into one of the most important financial centers in the world, and, as a consequence, a top destination for investment bankers. 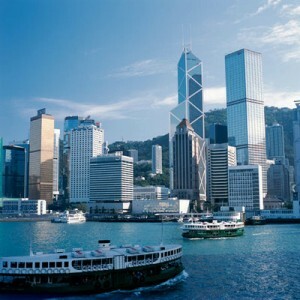 Hong Kong’s popularity as an investment banking destination is a logical consequence of the city’s location as a natural gateway to China, which in October 2014 regained the title the world’s biggest economy in purchasing-power-parity terms, according to the International Monetary Fund. Historically, Hong Kong was ceded by China to the British in 1842, and as a colony became a regional hub for trade with China and south Asia. While the British returned the colony to China in 1997, Hong Kong has since remained a favored place for many financiers to do business with the Mainland. The country’s British-style legal system and the number of fluent English speakers as a result of British rule are also among the factors that have made the city attractive for the international finance industry. Add to that favorable low-tax regime and it is no wonder why Hong Kong has become the preferred gateway for foreign companies seeking access to the Mainland, including investment banking giants. According to InvestHK, a government agency which offers free support services to companies seeking to expand in Hong Kong, the finance industry is one of the region’s four pillar industries, which employed 230,000 people in 2013, accounting for 5.9 percent of the city’s entire workforce. Hong Kong government data suggest that at the end of May 2014, there were 159 licensed banks in the city, 20 restricted license banks and 23 deposit-taking companies in Hong Kong, together with 61 local representative offices of overseas banking institutions. These institutions come from 36 countries and include 70 out of the world’s 100 biggest banks. Looking at some of those banks, Citi for example opened its first office in the region as early as 1902 and has since become Hong Kong’s largest foreign financial institution, serving more than one million clients, as noted on the bank’s website. Citi is strong on all fronts in corporate banking, investment banking, retail banking, consumer finance, wealth management, transaction services and trading/treasury activities. Another US bank with notable presence in Hong Kong is Morgan Stanley, having set up shop in the region in 1987, which now serves as the bank’s Asia-Pacific headquarters, excluding Japan. Moving on to European giants, Deutsche Bank’s presence in Hong Kong dates back to 1958, with the bulge bracket group currently keeping 1,400 staff in the region, according to its website. HSBC, which started out as The Hongkong and Shanghai Banking Corporation, has significant presence in the city, as does Asia-focused Standard Chartered, while Australia’s Macquarie Group has chosen Hong Kong as its main hub for the Asia-Pacific region. Hong Kong’s appeal has not escaped the attention of the private equity industry either. According to the website of the Hong Kong Trade Development Council (HKTDC), the region is the largest private equity center in Asia, managing about 18 percent of the total capital pool in the region, trailing the Chinese mainland. The HKTDC notes that “an overwhelming majority” of PE funds in the city come from overseas, investing in companies in the region including Australia, Singapore, India, Korea, Japan and, of course, the Chinese mainland. TPG Capital, Blackstone, Bain Capital and KKR are among the international firms with offices in Hong Kong, alongside China-focused Fountainvest Partners and Boyu Capital. Hong Kong is also betting on venture capital in a push to become a true “tech town”. June 2014 data from the Hong Kong Venture Capital and Private Equity Association (HKVCA) suggested that between 2009 and 2014, the number of venture deals within Hong Kong companies reflected an encouraging uptrend. Hong Kong is also a key initial public offering market for many venture-backed businesses on account of its proximity to the mainland and tight relationship with the Shanghai market. So the good news about kicking off your investment banking career in Hong Kong is that with the finance industry on the rise, the supply and demand ratio for finance jobs is extremely favorable. The bad news: you might have to learn some Chinese. While not an absolute necessity, not having local language skills might hinder you from performing certain tasks. Additionally, though the job market is hot, it’s important to ensure you have the financial modeling skills to pass the rigorous investment banking interview process. One way to ensure you’re not left behind is with an investment banking training course. Still, the plentiful career opportunities in finance as as well as the lifestyle, largely suited to the needs of the financial community, make the effort worthwhile.